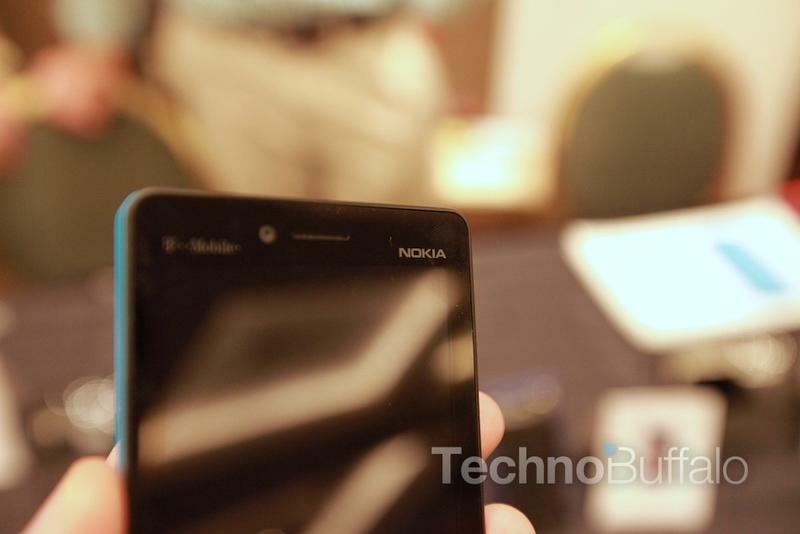 T-Mobile’s recently announced Lumia 810 is large. Not in the 5.5-inch Galaxy Note II sense. 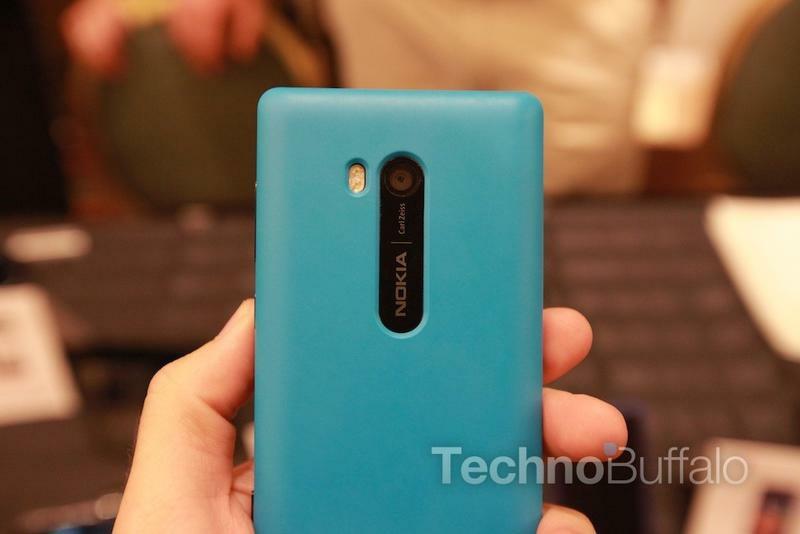 The 810 only sports a 4.3-inch screen, which is pretty standard in today’s market. Unfortunately, it’s the device’s 11.2mm thick frame that makes the device seem immense compared to a device like the 7.6mm iPhone 5, or even the 9.4mm Note II. A T-Mobile rep explained that much of the added heft is due to the Lumia 810’s ability to swap back plates, each of which can be used for wireless charging. Ok, so clearly it’s for engineering purposes, but we still would have liked to see Nokia shave off some of its bulk. We weren’t allowed to turn the device on since it’s running Windows Phone 8, so all of our experience is on design alone — obviously that doesn’t give us a complete idea of a handset’s ability. 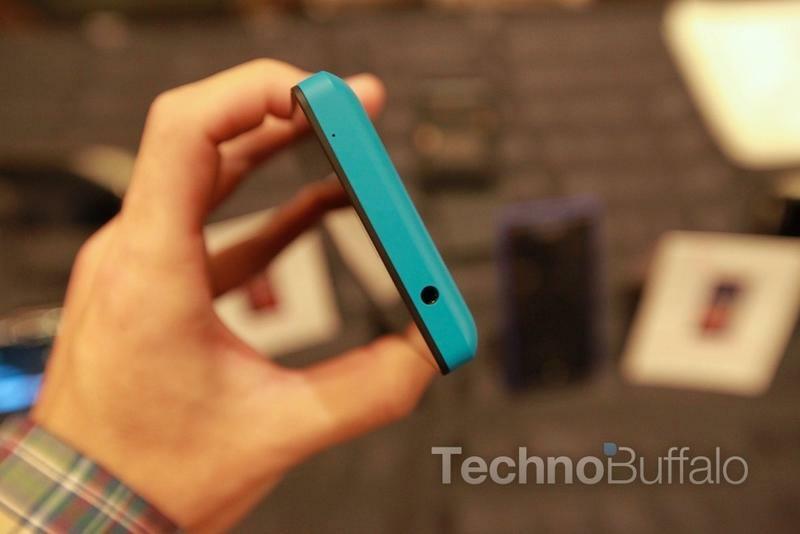 For a full spec breakdown, check out our coverage on the device’s announcement. It has promise, no doubt, but our first impression, at least on design alone, is mixed. 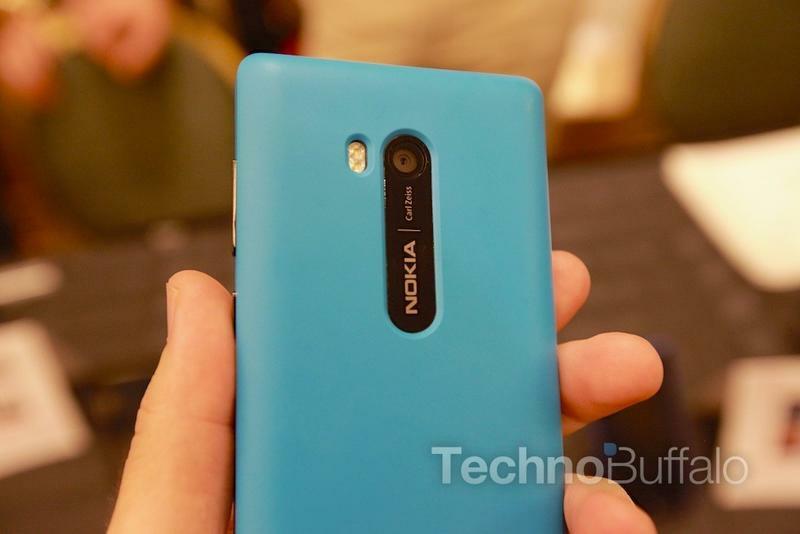 The Lumia 810 feels solid, and is more squared off as opposed to a Lumia 900, which I like. But its thickness leaves a lot to be desired. In other words, this is one device you definitely won’t want to pair with a case.